After a physical, hard-fought divisional match up with the Baltimore Ravens, the Steelers have a short week of preparation. 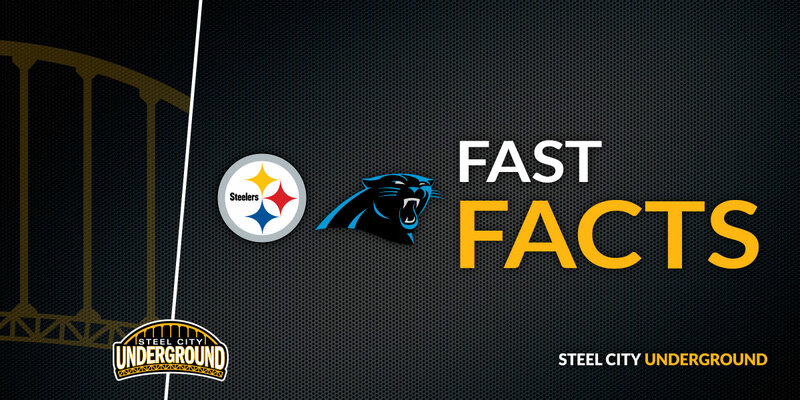 They will face off against an impressive Carolina Panthers team on Thursday Night Football. 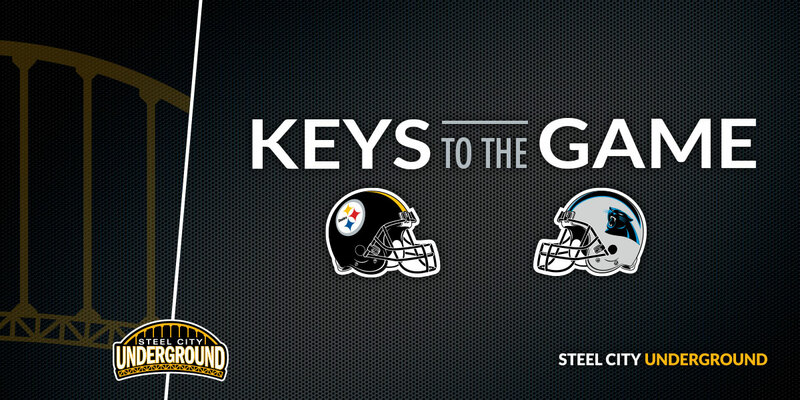 This game will feature two of the hottest teams in the NFL that are both looking to continue their winning ways. As talented as both of these teams are, it should be a very entertaining game to watch. With that being said, let's take a look at this week's opponent. Just as many teams are around the league at this point in the season, the Panthers are battling a few significant injuries on both sides of the ball this week. On offense, quarterback Cam Newton is listed as questionable with a shoulder injury. He was able to participate in Monday's practice but was limited. Tight end Greg Olsen (Foot), center Ryan Kalil (Ankle), and wide receiver Torrey Smith (Knee) are also listed as questionable for Thursday's game. Kalil and Smith were unable to participate in Monday's practice while Olsen was limited. On the defensive side of the ball, defensive back Captain Munnerlyn (Chest) and strong safety Eric Reid (Shoulder) are both listed as questionable and were limited in Monday's practice. Outside linebacker David Mayo (Groin) and defensive end Mario Addison (Shoulder) are also listed as questionable this week. Mayo did not practice on Monday while Addison was limited. The offense of the Carolina Panthers has been dangerous so far this season, averaging 27.5 points per game. They have some very electric players, the biggest threat being at the quarterback position. Cam Newton has been one of the best, if not the best, dual-threat quarterback in the league for the past few seasons. This year, he has thrown for 1,893 yards and 15 touchdowns. On the ground, he is 31st in the entire NFL (all positions) in rushing with 342 yards and four touchdowns. His top target this season has been wide receiver Devin Funchess, who has accounted for 36 receptions for 445 yards and three touchdowns. He also has a very dangerous tight end in Greg Olsen, who is always a threat both vertically and in the red zone. Carolina also has a very dangerous weapon at running back. Christian McCaffrey has quickly become one of the most elusive backs in the league. This season, he has rushed for 502 yards and three touchdowns. He is also a big-play threat in the passing game as he has the ability to line up in the slot and become a mismatch for slower linebackers. As dangerous as their offense can be, the Panthers' defense has been a huge part of their success so far. They rank 11th in total defense so far, allowing 344.8 yards per game and 22.5 points per game. Their strong suit on defense has been stopping the run. Carolina ranks 8th in run defense, in which they have allowed 94.1 yards per game and only five touchdowns. Linebacker Luke Kuechly continues to be the leader of this defense. He leads the team with 52 tackles, 64 with assists included. 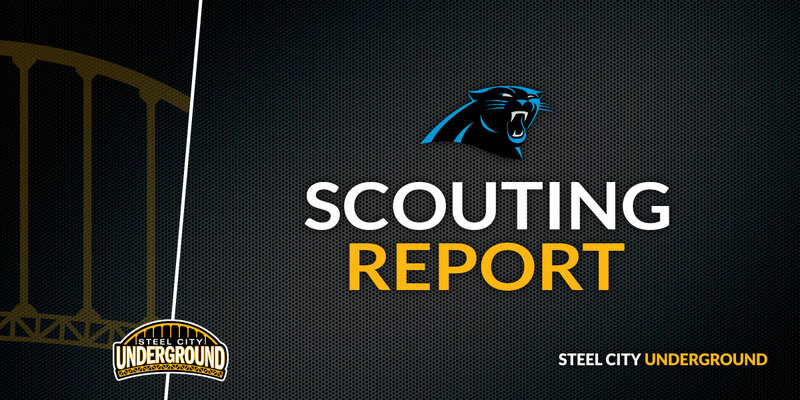 The defensive line against the Steelers will consist of Mario Addison and Julius Peppers at the defensive ends along with Kawann Short and Dontari Poe at defensive tackles. Addison leads the team with 7.5 sacks. Kuechly is joined in the linebacker core by Shaq Thompson and Thomas Davis. The secondary is a little less impressive than the run defense. They have allowed 254.1 yards per game and 15 touchdowns through the air this season. As bad as that may look to some, they do have a bright spot in their secondary. Rookie cornerback Donte Jackson is tied for the league lead with four interceptions on the season. He is joined in the secondary by cornerback James Bradberry, along with Eric Reid at strong safety and Mike Adams at free safety. This game could honestly go in many different ways in my opinion. However, this game will be a very close one when it comes down to it. In order to be able to pull this one out, the Steelers must put pressure on Cam Newton and relieve some of the pressure on this struggling secondary. This means that Bud Dupree and TJ Watt must have huge games this week. On offense, they should be able to attack the secondary but must also establish the run and keep James Conner going. 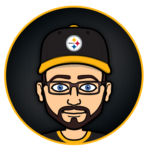 With all things considered, I have the Steelers winning by a touchdown but this is another game that could come down to the fourth quarter or even the final possession.